the way we perceive the world around us. he finds the solutions to answer them. looking at the fundamental questions. phor can be used to explore deeper ideas. us with a new perspective on how we perceive the notion of weather. separate ourselves from ‘social toxicity’. not even the weather, stops DB so there is no need to talk about it. We love it seems, to talk about the weather. metaphor using art as a medium. nothing conceited or ostentatious here. they ebb and flow into the gallery. or collected sound between source and audience. presence and the geologic, the universal. created and it being destroyed. conversation exploring the notion of weather as a metaphor for the human condition. Aidan has brought together an International selection of artists whose work resonates with his vision. Featuring Catrin Andersson; Joanne Mitchell; Zoe Preece and Tim Shaw This exhibition is a Tu Fewn project and presented as part of LGAC’s “Maker to Curator” series. create and the roles we play within them. based PhD at The University of Sunderland. bubbles, suspended within a glass space. at Culture Lab at Newcastle University. Wales to commission new high quality work by Disabled visual artists from across the UK and Internationally. 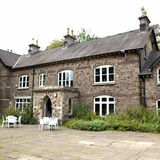 The three participating Galleries in Wales are Llantarnam Grange Arts Centre, G39 and Ffotogallery. with funding from Arts Council Wales. ‘An in with a stranger’ A Llantarnam Grange Arts Centre Exhibition. Design: Hillview Design Published by Llantarnam Grange Arts Centre. Text LGAC 2014 Llantarnam Grange Arts Centre St.David’s Road Cwmbran Torfaen NP441PD T: +44(0)1633 483321 E: info@lgac.org.uk W: www.lgac.org.uk Llantarnam Grange Arts Centre is part of the Arts Council of Wales portfolio of Revenue Funded Organisations. Registered Charity no: 1006933 Company Limited by Guarantee no: 2616241 Llantarnam Grange Arts Centre is funded by the Arts Council of Wales, Torfaen County Borough Council and Monmouthshire County Council. This publication may not be reproduced in whole or in part in any form without written permission from the publisher. 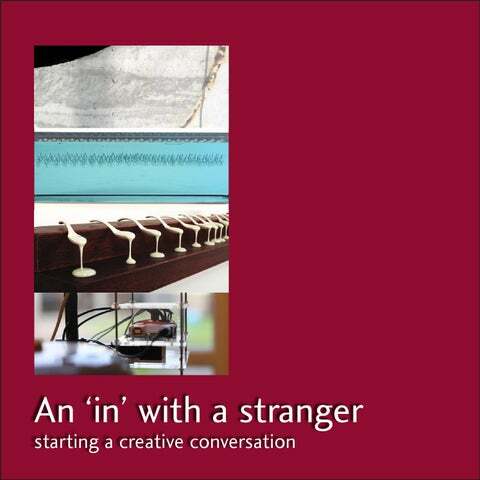 Exhibition catalogue for the exhibition "An 'in' with a stranger" curated by Aidan Moesby as part of the Tu Fewn programme.